Synopsis: Peter Pan and Tinkerbell lead the three Darling children over the rooftops of London and away to Neverland - the island where the lost boys play. Magic and mischief is in the air but if villainous Captain Hook has his way, before long someone will be swimming with the crocodiles . . .
You would struggle to think of a children’s classic more iconic than Peter Pan: since it’s publication in the second decade of the 20th century it has captured the hearts and minds of children (and adults!) and swept us all to the Neverland. So I thought it was time that I read the book, having spent my childhood with Peter and Wendy and the Lost Boys. More surprising to me than that, however, was Peter’s character. I remember the Peter of the Disney films: all rather jolly and excitable and fun, but the real Peter Pan, well, he’s quite something different. Something fascinating, as Barrie describes him as “cocky” and “forgetful” and almost cruel to Wendy whose love for him is never reciprocated in a way she would like. It is his most endearing qualities that can become the cruelest, and as such, he is far, far more interesting than I could have remembered or imagined him. 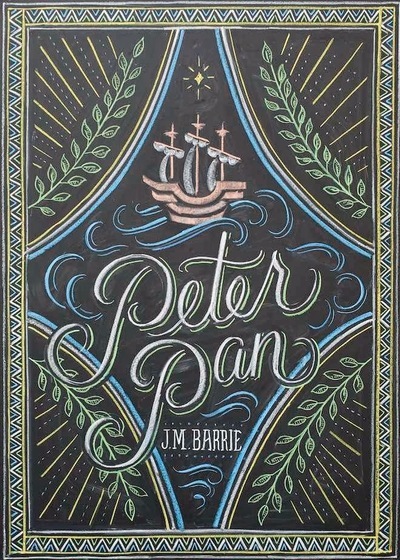 You could try to read in to the novel, if you wished: at times, I tried to, but came out feeling that Peter Pan wasn’t really a novel to be read into as such but more of one to enjoy in a childlike-way. 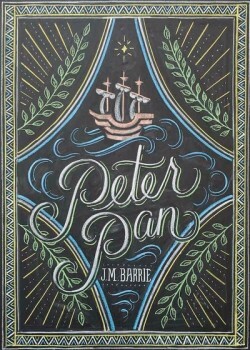 Of course, Peter is Barrie’s older brother who died just before his fourteenth birthday when Barrie was six, and of course the novel is about Barrie’s mother’s love for his brother, but reading into Peter Pan any more than that would seem forceful and unappreciative of the beautiful fairytale Barrie has created. Far more entertaining it is to listen to Barrie’s words in your head and picture the childlike innocence and ignorance of Peter. Having now read Peter Pan, I certainly believe it to be a wonderful little tale that I hope to read to my children (not that I’m looking that far ahead!). I want the tales of Peter, the real Peter, to be just as much a part of their childhood as Disney’s Peter was for me and I want them to grow and love Neverland and the Lost Boys and the Darlings just as much as I have over the last two days. With that in mind, all I can say is that Peter Pan has not lost its relevance in the hundred years of its publication, and it still deserves to be at the top of every child’s reading. What did you think about Peter Pan?